SMP’s client Medical Designs, LLC received clearance from the Food and Drug Administration (FDA) and announces their national marketing launch of the FDA-approved SAMBA™ Screw System. The SAMBA™ Screw System is for the minimally invasive treatment of SI-Joint dysfunction. 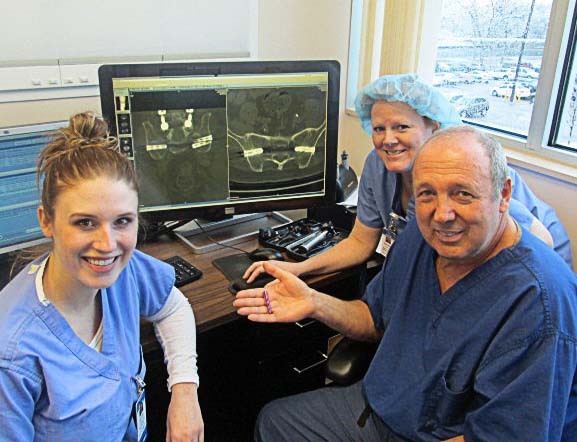 The SAMBA™ Screw and associated surgical instruments were developed for Medical Designs, LLC by SMP Tech, Inc. under the direction of Dr. Wilson Asfora. Dr. Wilson Asfora, Medical Designs, LLC. Click here to view the Medical Designs New Release. SMP Tech, Inc. offers a complete range of engineering services including the design of robotic DNA spotters, microfluidic devices, medical equipment, automated machinery, test equipment and sophisticated electro-mechanical products. The complexities of most of our development projects require expertise and capabilities in a vast number of different, yet interrelated disciplines. To address our clients' needs, we have established alliances with a number of outstanding companies, such as Advanced Machining Techniques, Adept Technology and the Technical Alliance Bridge. Please give us a call and we would be pleased to set up an appointment to talk to you about your engineering development and manufacturing needs. 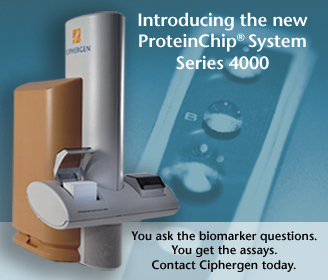 Ann Roberts, CFO, SMP Tech, Inc.
Ciphergen Biosystems - Fremont, California introduced their new ProteinChip System Series 4000 for the rapid translation of SELDI biomarker discoveries into assays. This new unit enables biomarker discovery, purification, identification, and quantitative assays through Ciphergen’s proprietary technology. The Series 4000 represents a new generation of affordable benchtop systems never available to biologists that does not sacrifice sensitivity or quantitation capabilities. SMP Tech, Inc. assisted in the enclosure design and development to produce a cost effective housing that met both the rigorous internal specifications set by Ciphergen Biosystems and the stringent requirements of their clients. Detailed Finite Element Analyses were performed by SMP Tech, Inc. to ensure that isolation required for sensitive instrumentation was maintained while mechanisms and pumps were operating. Integrated Biosystems, Inc. (IBI) Aubagne, France - the world's leading supplier of controlled freeze-thaw technology to the biopharmaceutical industry, and STEDIM, the world's leading designer and manufacturer of single-use, sterile plastic bag systems today announced that two new patents have been issued relating to the new Celsius product line. Celsius, which is currently being launched in the US and Europe, (by IBI) offers IBI's proprietary controlled freeze-thaw technology in disposable containers. SMP Tech, Inc. designed and built the production version of the Celsius S3 Freeze-Thaw System. The Celsius S3 Freeze-Thaw System provides the capability to model the IBI 100 liter system with as little as 15 ml of product. The Celsius S3 is used for simulation in Scale Up, Scale Down and Stability studies. Sartorius Stedim North America, Inc. purchased IBI and the products are sold under the Sartorius Stedim North America, Inc. name. Life Measurement, Inc. launched the PEA POD® Infant Body Composition System at the Pediatric Academic Societies’ (PAS) Annual Meeting held in San Francisco, California May 1 through May 4, 2004. The PEA POD provides vital information for optimal infant growth and nutrition for infants. 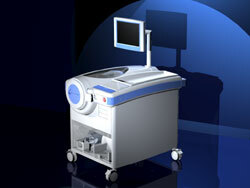 The system uses air displacement plethysmography to assess body composition in infants. The accurate assessment of infant body fat and fat free mass provides important data to assist in addressing several infant situations, including optimizing individual nutritional and pharmacological requirements. SMP Tech, Inc. was responsible for the industrial design and packaging of the PEA POD system. The enclosure system is composed of a combination of sheet metal and pressure formed parts. Intercon Technology, Inc. and TOWA America merged and are now called TOWA America Corporation. Though their name has changed, the Towa-Intercon vision and direction as a corporation remains the same. See the SBS 8000 Series Matrix Array Sigulation System that SMP helped develop on the TOWA website. The merger will allow Towa-Intercon to combine resources and deliver a broader range of products and services from one company. They now offer world-leading solutions in the areas of molding and die bonding to the North American and European markets in addition to continuing to deliver a best in-class solution for singulation throughout the world. Our client, Affymetrix, starts taking orders for human genome chip. Affymetrix says its human genome array has gone on sale after years of research and development. Called the "GeneChip human genome U133 plus 2.0 Array," the device is said to offer researchers the protein-coding content of the human genome on a single commercially available catalog microarray. The chip analyzes the expression level of nearly 50,000 RNA transcripts and variants with 22 different probes per transcript. With about 1.3 million probes on a chip the size of a human thumbnail, the Human Plus Array represents a leap in array technology data capacity, and further demonstrates the unique power and potential of our technology to explore vast areas of the genome. W. R. Grace & Co. subsidiary, The Separations Group, has acquired MODcol Corporation, a manufacturer of preparative chromatography columns and provider of custom column packing services in Morgan Hill, California. MODcol will be integrated into Grace’s Silica Products Separations business at 17434 Mojave Street, Hesperia, CA 92345. MODcol produces its own HPLC preparative columns, designs column-packing instruments, and resells bulk media for customers to pack their own columns. The company also provides column packing services. MODcol’s expertise is in column packing technology: the company has over 20 years experience of column packing technology, holds a number of patents, and has developed numerous packing protocols for a wide range of chromatographic media. SMP Tech, Inc. is proud to announce our involvement with Intercon during the development of their newest product, the SBS - 8808 Matrix Array Singulation System introduced at SEMICON 2003. SMP Tech, Inc. was tasked to update an existing product that offered a better user interface, increased the throughput, all while reducing the overall unit cost. We met this challenge by applying basic industrial design and human factors along with engineering analysis and design principles from the ground up. The frame was completely redesigned to provide a stable structure for higher operating speeds. It also incorporated several features that previously required several separate parts. In addition, input from assemblers, service technicians, and customer service were integrated into the design stage, which resulted in a system that meets the up front technical requirements as well as the downstream service and maintenance personnel. The end result was a system where throughput increased from 6,500 to over 10,000 units per hour, material cost of the unit was cut in half, assembly is measured in hours, not days, and service calls are now dealt with by modular replacements instead of complete system reworks. Founded on April 1, 1990, by Ann Roberts and Tom Roberts, SMP Tech, Inc.'s services include equipment design, engineering analysis and preproduction services. Our 26 years of engineering experience is available to you on a project basis. We appreciate your past patronage and look forward to serving you in the years to come.